While watching a recent spring training game for the Los Angeles Angels, I was taken aback when out to bat third came University of Wisconsin men’s basketball star Brad Davison. How could this be? Davison should be recovering from the shoulder surgery he had just a few weeks prior, not playing pro ball in the middle of Arizona! Once the announcer uttered the words “Mike Trout up to bat” I immediately knew the answer. 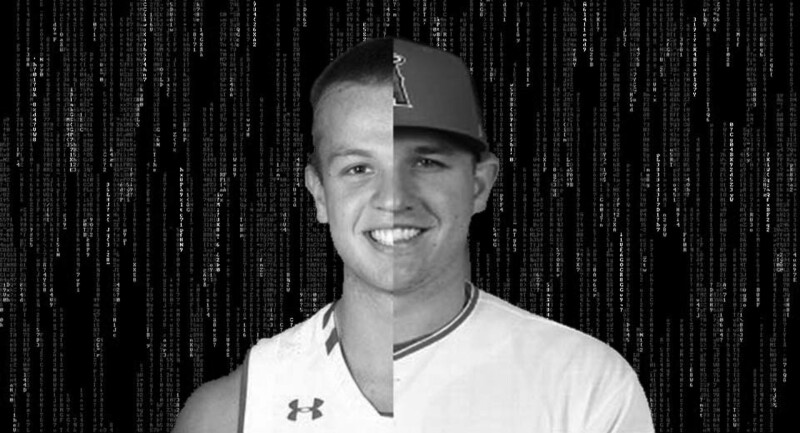 Davison never had the shoulder procedure and it is all part of a cover up to hide the fact that the seven year MLB veteran “Mike Trout” has masqueraded as a freshman college basketball player for the past year. First, let’s look at the obvious. The Angels final 2017 game was Oct. 1, giving Davison an entire month to prepare his transition into college ball for the Badgers Nov. 1 opener against the University of Northern Iowa. Now why would Davison, after coming off his sixth straight All Star season want to change his focus from baseball and try out college basketball? Well, we all know Mike Trout, a New Jersey native, is an avid Philadelphia sports fan of teams not having to do with baseball like the NFL’s Eagles and NBA’s 76ers. But rather than join the pros, Trout wanted to stay out of the spotlight and gain the college experience he never had as he was playing minor league ball instead during those formative years. The solution, leaving Hollywood to anonymously join a more quiet Midwestern college team in the Wisconsin Badgers. The only problem was NCAA rules, pro athletes aren’t allowed to participate in college sports as they have lost their amateur classification. Trout couldn’t just play under the radar for the Badgers — he needed to take on an entire new identity as freshman guard Brad Davison. The season ended conveniently for Davison when the Badgers failed to make the NCAA Tournament, giving him enough time to participate in most of Angels’ spring training. His disappearance from the campus spotlight would be explained by recovering from surgery for the supposed shoulder injury Davison was dealing with all season. Now, this is not to say Davison didn’t have any close calls. He was spotted supporting the Philadelphia Eagles at the Superbowl in Minneapolis on Feb. 4 just hours after his afternoon game versus Maryland that ended at 2 p.m. But the game didn’t start until 5:30 and flights from DC to Minneapolis are only two and a half hours, giving Davison an hour to spare in making the big game. And if anyone did recognize Davison in Minneapolis, he could always use the excuse that he was just “visiting home” where he supposedly grew up in the suburb of Maple Grove. Davison could not be reached for comment as he has been busy traveling the past week for the Angels opening day series versus the Oakland Athletics.